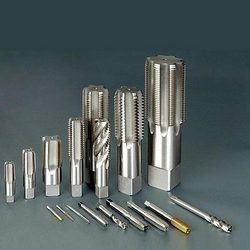 Provided to the customers is a wide range of superior quality Threading Cutter Tools to the customers. These Threading Cutter Tools are manufactured by employing modern technology and sophisticated machinery, at our state-of-the-art infrastructure. Our clients can avail from us with or without straight flutes. Hand taps are used to cater to production or hand tapping operations. Our range includes Circular Thread Rolling Dies, Flat Thread Rolling Dies, Thread Cutting Dies and Hand Taps And Machine Taps. We are engaged in offering high quality Circular Thread Rolling Dies to the customers. 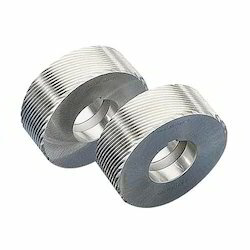 These Circular Thread Rolling Dies are manufactured using high-grade tool steel, which is procured from some of the most trusted vendors of the industry. Moreover, these products can be reconditioned and used again, as per clients' requirements. 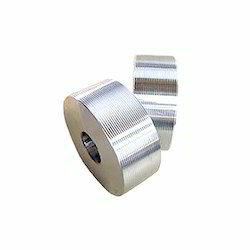 The products offered by us are widely used in thread rolling machines. The range of Flat Thread Rolling Dies is offered to the customers at industry leading prices. Our team of highly experienced & talented professionals manufactures these products in ground thread form, under controlled conditions. In addition to this, we can customize these products as per the exact details provided by the clients. We are one of the eminent names of the market engaged in offering a superior quality range of Thread Cutting Dies to the customers. These Thread Cutting Dies are extensively used in precision thread rolling of fasteners, auto-parts and other components. 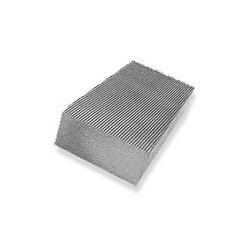 The entire range of Thread Cutting Dies is made using cold work tools steel (D2/equivalent material) and high speed steel (M2) by the help of our team of experts. We are instrumental in offering genuine quality range of Threading Taps to the customers. Our team of experts understands the exact requirements of the clients and makes sure to offer the products accordingly. In addition to this, we offer taps to the clients in standard as well as customized forms. Looking for Threading Cutter Tools ?